Former Deputy Minister for Youth and Sports and now Deputy Minister for Information, Pius Enam Hadzide has been exonerated of any impropriety in the visa scandal that rocked the Commonwealth Games in Gold Coast Australia, 2018. The scandal which came about as a result of an incidence which happened at the Brisbane airport where a group of Ghanaians posing as journalists for the Commonwealth Games were intercepted by the Australian Border Force. What followed was the exposure of a visa fraud allegedly orchestrated by high ranking elements at Ghana's sports ministry, the national sports authority, and the Ghana Olympic committee. 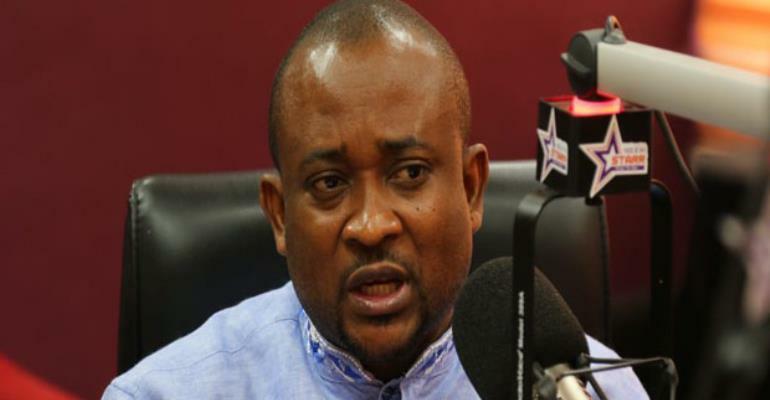 Following that tale, President Akufo-Addo suspended the then Sports Minister as well as a board chairman of the National Sports Authority, Kwame Baah Agyemang to pave way for immediate investigations into the matter. Shortly after, the two were reinstated and cleared on any wrongdoing. Government’s inability to publish finding of investigations that cleared the two raised eyebrows especially from the Minority who suspected foul play in the process. In recent document available with DailyGuide however, confirms that indeed the former Sports Minister has been exonerated of any wrongdoing as far as the Visa Scandal at the games is concerned. The latest exoneration of the deputy minister is contained in the relevant segment of the report of the Disciplinary/Grievance/Dispute Resolution Sub-Committee submitted to the Ghana Olympic Committee (GOC) Executive Board on 15th February, 2019. “The committee does not find the deputy minister culpable in the case,” the report indicated. It's coming on the heels of a heightened NDC campaign which seeks to present the subject as a cover-up. DAILY GUIDE has chanced upon the contents of the report; the recommendations contained therein intended to give a new direction to the management of Olympic matters so that the incessant scandals which bedevil it are kept at bay. The submissions of Witness No. 5, Ignatius Elletey, Principal Administrative Officer, National Sports Authority (NSA) at the Justice Tanko Amadu Committee, debunked the allegations levelled against the deputy minister. Mr. Elletey, who introduced himself as administrative officer of NSA, added that he was the administrative officer for the National Paralympic Committee but ceased playing the role when it was decided that the three disciplines, Para Athletics, Para Cycling and Para Lifting, be considered autonomous. He said that Frederick Asor and his pilot Rudolf Mensah and the coach Elorm Alipui, also part of Team Ghana, were the only persons who traveled to Australia, adding that “no other person, including myself, traveled to Australia and I must add that when my accreditation and that of Peter Adjei were released to us, the accreditation cards of the rest were not released. During cross-examination, the committee sought to know who authorized the issuance of the ticket and that was when the name of the deputy minister popped up directly. Q: On whose authority was the ticket issued to you when you did not make the final list? A: The Chairman of the IGC (The then Deputy Minister of Youth and Sports). The witness insisted that he never submitted or instructed a certain Mr. Addy to add 25 names to the list, demanding that the said details be made available to the committee so he could speak to them. Q: You admitted handing over a list to Mr. Addy. He accepted part and rejected part. It was not submitted by e-mail. Could it be the names contained in Exhibit '8' the minutes of GOC board meeting? Q: You admitted yesterday that you were given a ticket to travel by the deputy minister. Is it electronic or hard? A: I only had information that I had been given a ticket. Q: How was the information delivered? A: I do not remember. The Congress of the GOC is enjoined by its statute to empanel a sub-committee to investigate anomalies that bedeviled the sports body during the Commonwealth Games Gold Coast in Australia. The sub-committee was made up of Justice Tanko Amadu, a Court of Appeals Justice as Chairman; Peter Kpordugbe, member; Gifty Annan-Myers, member and B.T. Baba and Ken Dzirasah.